A wonderful letter from a recent patient of the IBS Treatment Center. I can’t praise the IBS Treatment Center enough! Just having someone who actually believes that you are having significant problems is healing in itself! I knew there was something wrong with me! I cried with relief after my first phone call [with the IBS Treatment Center]. At the first visit, unlike all [the other doctors] I saw, they encouraged me to tell my “story” and to discuss all of my symptoms. Unlike other doctor’s I saw, [they] believed me! Wow! …. [I] have been totally normal since 10 days in….. and I’m continuing to feel more energy and more wholeness every day! 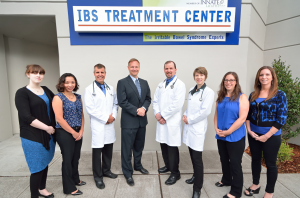 Thank you to the IBS Center for actually believing their patients! For more information on curing your own IBS, please, call us today at (206) 264-1111 for our Seattle location or (310) 319-1500 for our Santa Monica location. « An IBS College Love Story?